Shoe Bags, Set of 6, by Travel Gadgeteer. Great for athletic, golf, dance, and dress shoes. Keeps Dirt Out of your Luggage. 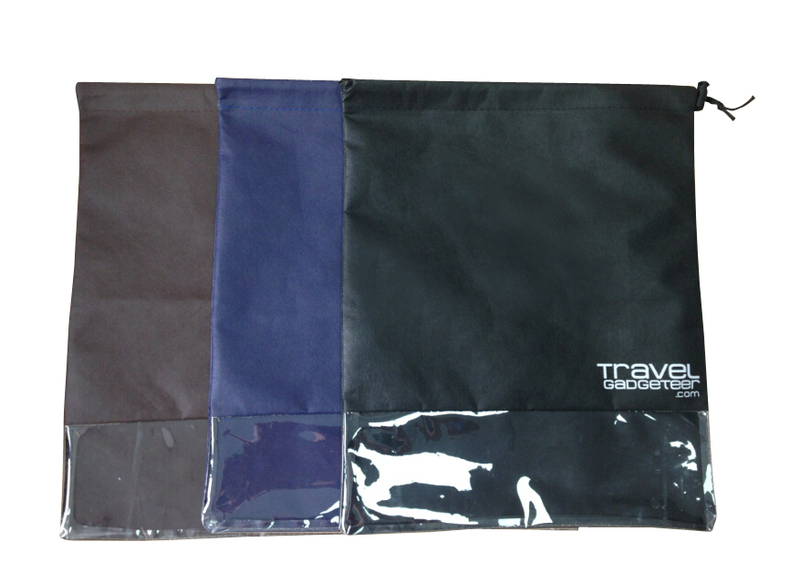 These shoe bags were specifically designed to be light and economical. Perhaps even economical enough to throw away a badly warn, torn or really dirty shoe bag. For this purpose we have included 6 of them in this pack. 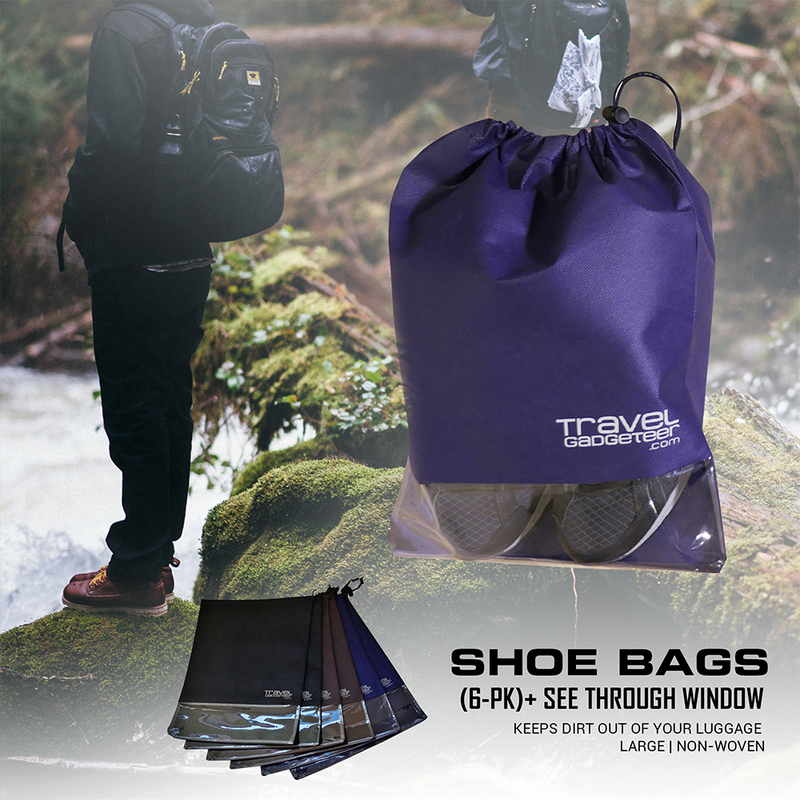 Lightweight – Yet Tough Enough to Protect Your Shoes from Scrapes and Scuffs when Traveling (2 Black, 2 Navy Blue, 2 Brown). These will hold relatively large size shoes and the items you have placed in them securely with the lock clip. The wide opening makes it easy to slide shoes in and out. Shoes of sizes 11.5 (US) and 43 (EU) can be stored as a pair in one bag. It has a see – through plastic window allows bag contents to be Identified Easily. 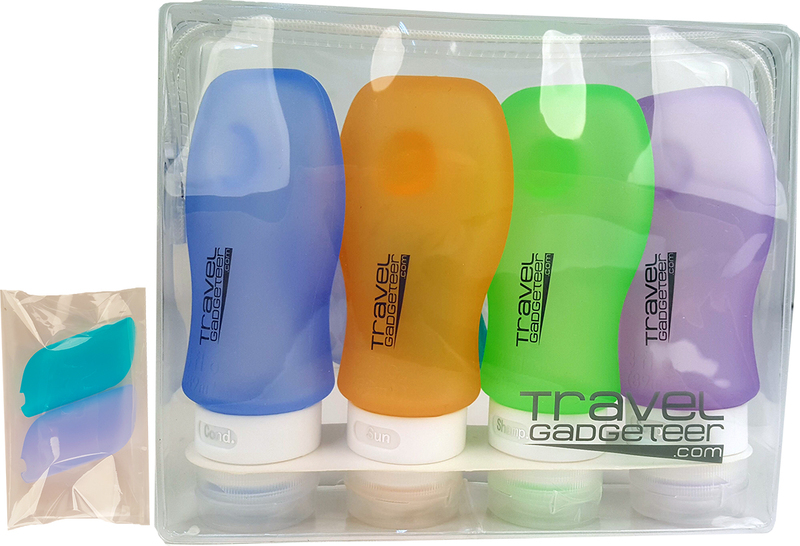 These drawstring shoe bags with the added locking clip from Travel Gadgeteer allows you to let your Shoes Stay in the Bag and the Dirt Out of Your Luggage. Breathable, yet Water Repellent (Not Water-Proof) Non-Woven Light Fabric Material is Designed to Keep Any Residue from Streets Away from the Rest of Your Belongings. The water repellent nylon will protect your clothing if you are forced to pack damp dirty shoes in your bag. Perfect shoe bag for golf, camping, athletic bag, and storage to keep items dust free in your closet. Luggage Scale from Travel Gadgeteer with Protective Pouch. This Portable Scale for Luggage, with Digital Backlight Read Out, will Eliminate Excess Baggage Fees. 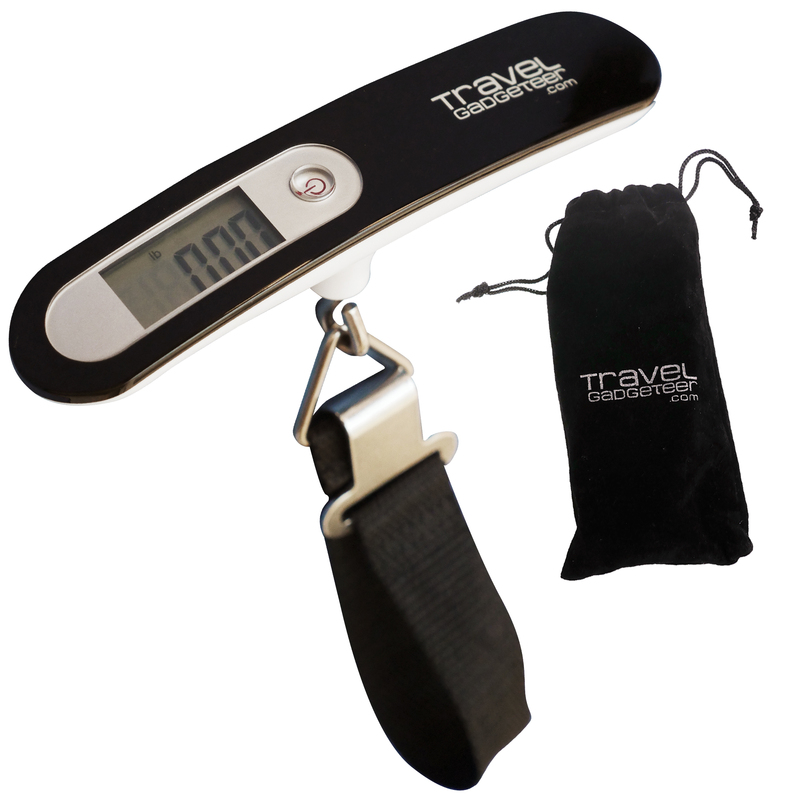 A portable digital luggage scale is an excellent investment for you to make. By adding a travel luggage scale to your travel supplies, you’re going to be in a better position to determine how much weight you’re taking with you on a trip. 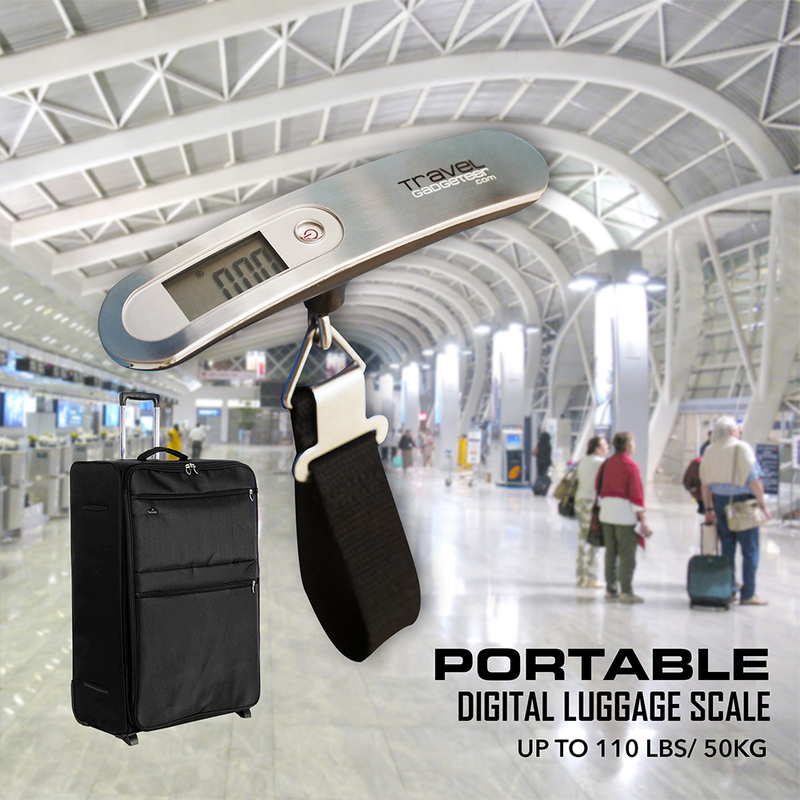 An electronic digital luggage scale is incredibly accurate. LCD display easy to read saves strain on the eyes. Lock Weight – display locks onto weight for easy reading. Change to Pound (lb), Ounces (oz), Kilograms (kg) & Grams (g) at the Touch of a Button – HIGHLY ACCURATE. Light and Easy to Take Along, Yet Features a Strong Nylon Strap & Stainless Steel Hook. Battery preserver auto shut-off after 30 seconds. No backlight preserves battery life. Capacity overload indicator shows when bags are over the scale limit. Low battery indicator gives you plenty of notice to ensure your scale is ready. Strap fits around luggage handles better than a hook and stabilizes for easy reading. 100% Satisfaction Guaranteed. Hassle-Free 30-Day Money Back Guarantee. 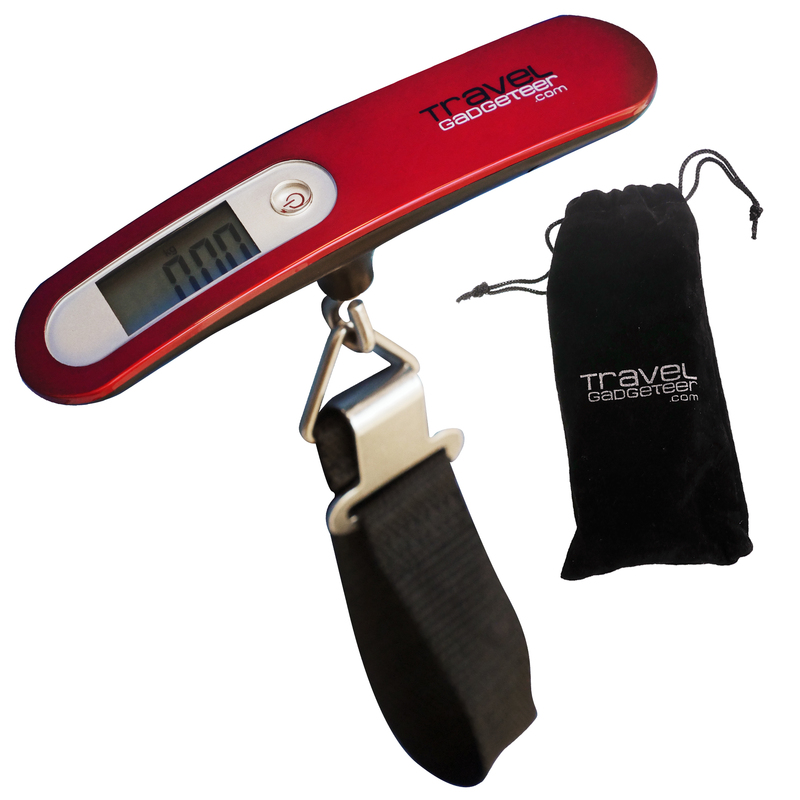 One-Year Warranty by Travel Gadgeteer. US & METRIC SYSTEM | Change to Pound (lb), Ounces (oz), Kilograms (kg) & Grams (g) at the Touch of a Button – ACCURATE and extremely precise. This travel gadget weighs in both pounds, ounces, kilos and grams with capacity up to 100lb / 50kg. The digital luggage scale is designed with a portable scale to avoid a lot of trouble when your luggage is overweight, especially when you’re travelling by plane and helps you save money from excess baggage charges. TSA approved for carry-on bags. Four durable, reusable tubes for various liquid products. See-through containers are made of 100% FDA food grade approved, BPA free, completely food safe. Soft, Flexible Squeezable, no drip valve and leak proof. Designed with suction cups to adhere to smooth surfaces. Easy to fill and can be cleaned in top rack of dishwasher. 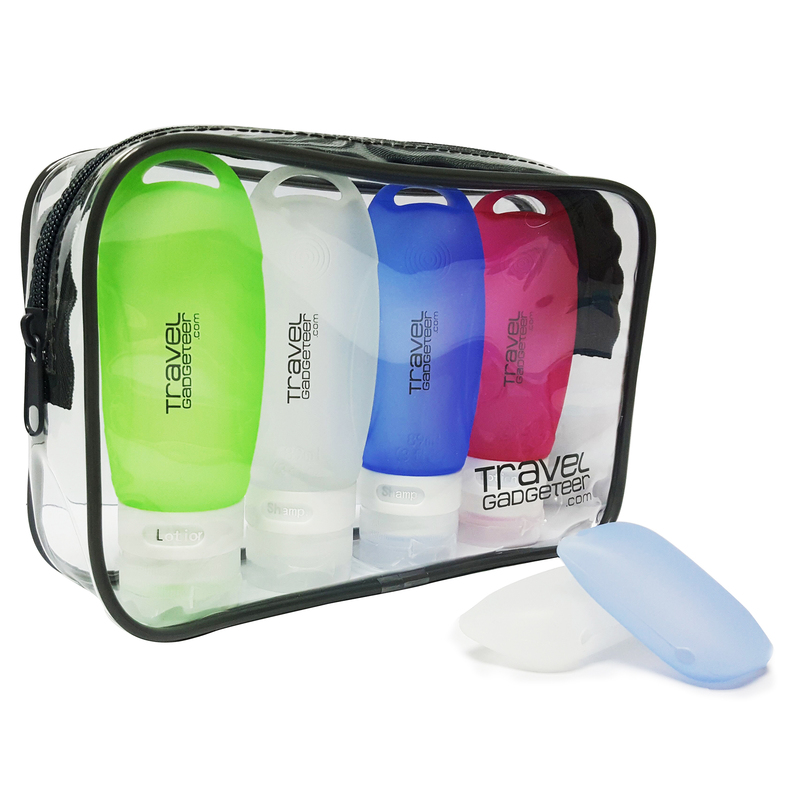 Comes with clear zipper bag and two toothbrush protectors, labels to identify each liquid product.